A John Matthew Shippen Museum Room in the Shady Rest at Scotch Hills Country Club is in the planning stage with an official opening in Spring of 2018. Please support our efforts in honoring Shippen as funds are needed for a museum reading area, a video kiosk, framing, lighting, and hanging of photos and paintings as well as displaying original historical artifacts. The Foundation’s chair and vice-chair secured the above collection over the course of 25 years. We are a 501 (C) 3 organization and your support is tax deductible. John Shippen learned to play golf and developed his natural talent between stints as a caddy at the Shinnecock Hills Golf Club, at South Hampton. In 1896, Shippen entered the professional division of the second U.S. Open held at Shinnecock Hills at age 16. When the other players, living in America at the time were either Scottish or English imports learned a black man was entered in the Open, they threatened to boycott the tournament. 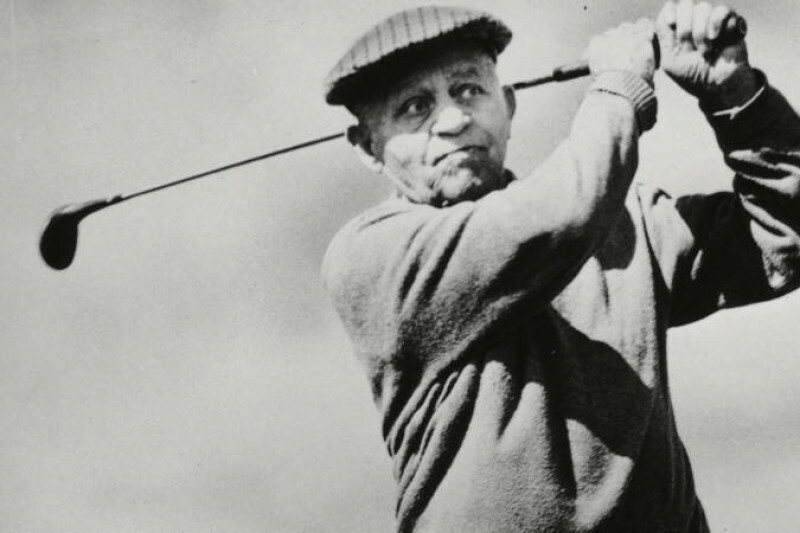 Theodore A. Havenmeyer, the first president of the USGA stated and backed Shippen and Shippen became the first American and African American to play in a U.S. Open tournament in 1896. Shippen competed in the U.S. Open five times but never won a title. In 1924, he finally settled down at the Shady Rest Country Club in Scotch Plains, NJ as the club’s golf professional and grounds keeper. The Shady Rest Country Club was the first private African American Country Club in the United States where Duke Ellington, Cab Callaway, Ella Fitzgerald performed, as well as other notables, such as W. E. Dubos, Joe Louis, and two-time Wimbledon tennis champ, Althea Gibson also played and gave lessons at the club. The Shady Rest CC has been restored historically and officially renamed the Shady Rest at Scotch Hills Country Club. Shippen was denied a PGA card because he was black and was posthumously given his Professional Golf Association (PGA) card in 2009 at the 93rd PGA annual meeting in New Orleans, LA.